This is one of the newer anime I have recently started watching. Himouto! Umaru-chan is based on the life of Umaru, a 16 year old who looks a bit like Asuna in my opinion, and is loved by those around her. People think she's a celebrity due her amazing looks, she is always at the top of her class, and she's great at sports. 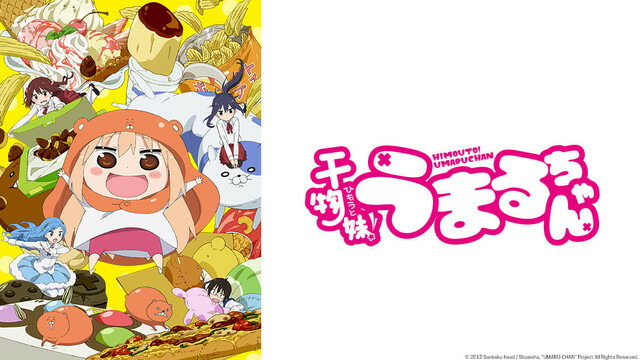 Could there possibly be anything that people don't know about Umaru? The short answer is, yes. Umaru stays at her brother's apartment, and she has a side to her which she wishes to hide from her friends and the public. Umaru is lazy and acts like a little child once she is in the apartment, throwing tantrums when she doesn't get her way with her brother, who is often forced to surrender to Umaru's childish habits, especially when they are in public. 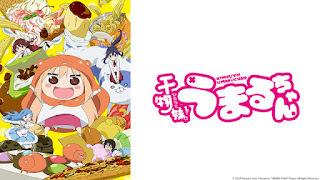 What's more, Umaru is an Otaku, either playing video games, reading or watching anime movies (with snacks she has managed to match with certain drinks) as soon as she gets back to school. Even at the arcade, the staff and visitors know how much of a veteran she is at playing games (reminds me of Konata and the comic book store in Lucky Star), which even includes the crane game machine (I've never won anything from that T-T). Miraculously though, she is able to maintain the high grades she achieves at school and never fails to amaze everyone, much to her brother's surprise. Because of her character, some people may find her a bit childish and be put off the anime as you see this side of Umaru in every episode. But, I say you should give the anime a chance as Umaru's hidden side to her character is what makes up 99% of the story, which starts to overlap with her perfect side as the anime progresses, adding to the comedy. Also, isn't it nice that the intro has some game references to games not only popular in Japan, but in the West too? Not only that, but some gameplay features in episodes too which is a nice touch. Anything else: Is it just me, or do you wonder if others see her how we do?